PUBLIX IS COMING! PUBLIX IS COMING TO SOUTH CHARLOTTE | South Charlotte Newcomers! Charlotte is a place of Southern Charm and loyalties. Harris Teeter has long been the darling of loyal Charlotte grocery store shoppers. Now, it seems Harris Teeter has a worthy opponent: Florida based Publix Supermarkets! 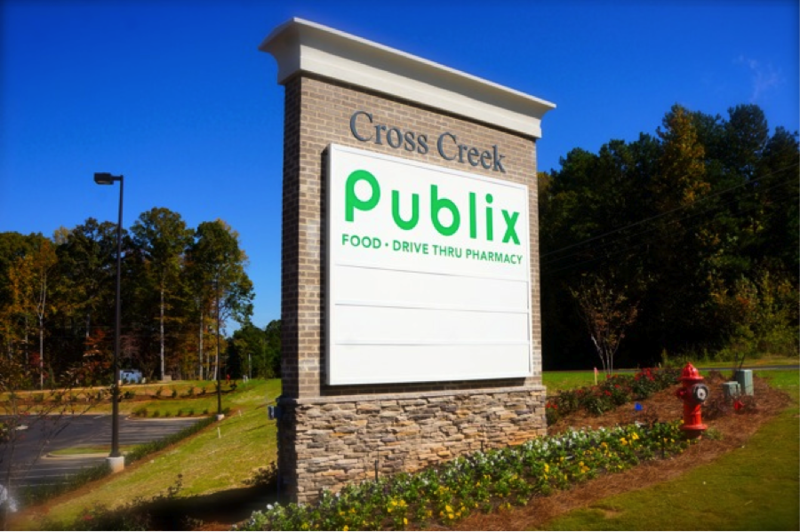 Publix is currently open at Cross Creek in Indian Land and at Gold Hill in Fort Mill, right over the border in South Carolina. People are glad to have upscale options in their areas and consider Publix a boon to South Carolina business. Publix Spokeswoman, Maria Brous states that Charlotte is ideal due to its population growth and sales potential. Each Publix store employs 125-150 people, bringing jobs to Charlotte. Publix does, however, usually bring in their own management teams. Each Publix store will have JAC (job application centers) located in the front of the store. Applications are not accepted online, but detailed job descriptions can be found at www.publix.com. The first Publix 56,000 square foot store in North Carolina will open in the Ballantyne area of South Charlotte in February 2014. The store will be located at the intersection of Providence Road West and Johnston Roads. Publix will eventually open eleven stores in North Carolina, but chose the Ballantyne area for its first step into the Tar Heel State! Publix will also set up new division offices in Charlotte overseeing North Carolina and South Carolina stores. Publix plans to open numerous stores across North Carolina as the company expands north on the East Coast. The company’s expansion into Charlotte also includes a planned second store in South End and eventually an entire Charlotte division. Developer’s plans for a 55,000-square-foot Publix supermarket in South End is an acknowledgement of the growing power of the neighborhoods sprouting along the Lynx Blue line! The many transplanted Floridians in Charlotte are thrilled at the prospect of Publix coming to Charlotte! “North Carolina is the No. 1-requested state for us to enter,” Publix spokeswoman Maria Brous has said. Charlotteans know nothing could be finer than to be in Carolina and welcome Publix to our wonderful city!